Mr Akerele is the Managing Partner of Segun Akerele Legal Practitioners, a full service law firm based in Lagos, which he set up in 2008. He was admitted to the Nigerian Bar in 1995 after studying law at the University of Hull, where he obtained a LLB Hons degree. His early practice years were spent at the law firm of Chief Rotimi Williams’ Chambers where he practiced for over 10 years. As Managing Partner, Mr Akerele is also the Chairman of the firm’s Management Team and coordinates the various practice areas of the firm. In addition to his managerial role, he heads the firm’s litigation practice. 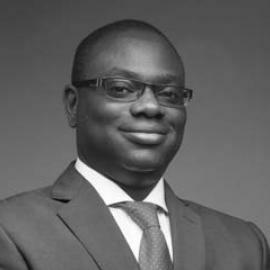 Mr Akerele has extensive legal experience across the core areas of commercial activity including Commercial Law, Banking and Finance, Taxation, Intellectual Property, Labour, Employment and Pensions. He has also handled important and complex litigation cases in all the courts and in every region of Nigeria. Mr Akerele’s legal practice extends into criminal law where he specializes in white-collar fraud. Mr Akerele retains an interest in public service and as a consequence, he is a Trustee of the Eko Charitable Foundation for Poverty Alleviation, a Trust set up with the specific objects of bringing about positive financial change in the lives of ordinary Nigerians. Ms. Bunmi Lawson is the pioneer and immediate past Managing Director/Chief Executive Officer of ACCION Microfinance Bank Limited. She has over 30 years post graduate experience in finance, insurance, marketing, auditing and banking. She is also a Fellow of; Institute of Credit Administration of Nigeria, Institute of Credit & Collections Management of Nigeria and Association of Investment Advisers & Portfolio Managers of Nigeria. She is an Advisory Board Member of Bridge International Academies, Nigeria, Co-Creation Hub (CcHub), Nigeria, MaTontine Inc. New York, USA, and a council member of the Women in Finance Nigeria Forum. 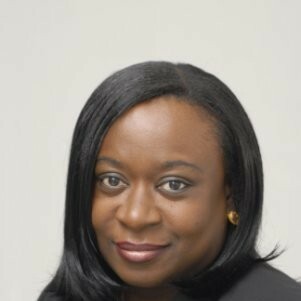 Asides’ completing the CBN/CIBN Microfinance Certification Programme, Ms. Lawson also holds a Master’s Degree in Business Administration from the IESE Business School, completed courses both locally and internationally at renowned institutions including Harvard Business School, INSEAD and is an alumnus of the Lagos Business School. She is a Fellow of the Institute of Chartered Accountants of Nigeria and a Member of the Chartered Institute of Bankers of Nigeria. 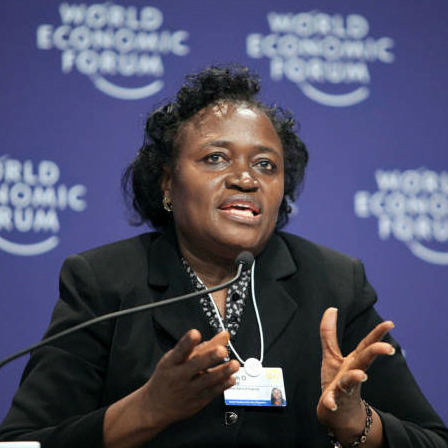 Dr. Sarah Alade was the Deputy Governor, Central Bank of Nigeria (CBN) in charge of Economic Policy from 2007 to 2017. She was responsible for the Monetary Policy Committee Meeting and was the Chair of Monetary Policy Implementation Committee. She coordinated Monetary Policy, Research, Trade & Exchange, Financial Markets and Statistics Departments of the Bank. In addition, had responsibility for the management of multilateral and bilateral relationships, including with IMF, World Bank, ECOWAS, WAMI, and Association of African Banks. Dr. Alade, has a strong interest in Price and Financial System Stability, and consistently led research efforts to generate insights that can be applied to Nigeria, and broadly the African context to drive inclusive economic growth and participation. Dr. William Derban has 15 years’ experience in providing sustainable, market-based financial services to the unbanked and under-banked in Africa, Europe and the Middle East. He has expertise in financial inclusion, microfinance, digital financial services, sustainability and corporate responsibility. He is currently the Director for Inclusive Banking and CSR at Fidelity Bank Ghana Ltd, where he set up the first agency banking programme in the country. Prior to working at Fidelity Bank, Dr. Derban was the Head of Community Relations with Barclays Africa and Emerging Markets where he managed the community investment strategy across 14 countries in Africa, the Middle East and Asia. He has also held various senior positions in the Global Community Investment and Financial Inclusion departments in Barclays London. In addition to financial inclusion, he has established successful projects on youth entrepreneurship, preventive health, clean energy solutions, women’s empowerment and integrated rural development programmes. Dr. Derban has received many awards in recognition of his work, including awards from the Kalahari Mobile Awards, Ghana Banking Awards, Clinton Global Initiative and Coffey International. Dr. Derban earned his doctorate in Microfinance and Development Finance from the Nottingham Business School, UK. He has an MBA from the University of Central England in Birmingham, UK and a first class degree in Economics from the University of Cape Coast, Ghana. 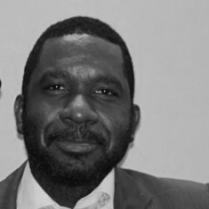 Dr Keith Jefferis is a development macroeconomist and financial sector specialist, focusing on a range of macroeconomic, financial and development policy issues in Botswana and sub-Saharan Africa. He is a former Deputy Governor of the Bank of Botswana. Dr. Jefferis has a PhD in Economics from the Open University, UK, a Master’s degree in Economics from the University of London, and a BSc in Economics with Statistics from Bristol University, UK. He is originally from the UK and is now a naturalised citizen of Botswana. His recent experience includes assessing the macroeconomic impact of pension reforms in Namibia; preparing financial sector development/financial inclusion strategies for Rwanda, Lesotho, Botswana, Liberia and Laos; developing strategic plans for the Central Bank of Rwanda and the Committee of SADC Stock Exchanges; and analysing the impact of global regulatory changes on banking supervision in several African countries. Furthermore, he has worked with institutions such as the World Bank, the African Development Bank, USAID and other development organisations. 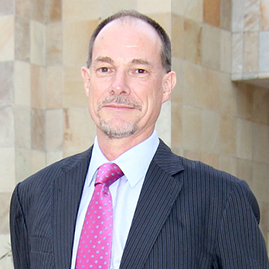 Dr Jefferis is currently the Managing Director of Econsult Botswana (Pty) Ltd.